Scholarships for Hispanic Students Interested in Science! The Alliance/Merck Ciencia (Science) Hispanic Scholars Program is a new partnership to improve Hispanic student access to higher education and degrees in science, technology, engineering and math (STEM). The Program provides scholarships at two levels:High School Seniors — $42,500 Scholar Package. Promising Hispanic students attending high school in Brownsville, TX; Elizabeth, NJ; and Los Angeles, CA are invited to apply to become one of ten Alliance/Merck Ciencia Scholars that will be selected in the Spring of 2009 AND College STEM Majors — $2,000 Scholarship. Hispanic college students from all 50 states, the District of Columbia, U.S. territories and Puerto Rico pursuing a Bachelor’s degree in a STEM field major are invited to apply for a $2,000 one-time scholarship of which 25 will be awarded in the Spring of 2009. College Summit Helps Minority Students Get into College! A child whose parents are college educated has a personal advisor to help him/her through the maze of college applications, applying for scholarships, deciding on the right school, and the confusion of applying for student financial aid. How then do first generation students get through the complication? Worse, a Hispanic first generation college student who has parents with no idea of the college process, no idea of the process here in the United States, and don’t speak the language? J.B. Schramm is the founder of College Summit. College Summit is a nonprofit organization that provides assistance to minority students as they apply to college. Schramm remembers fellow high school students who were just as good as he was for a colelge education, but did not apply and did not go. In turn, he has helped many other students not lose motivation as they see their fellow friends not bother with higher education. College Summit has partnerships with colleges to offer summer workshops for college seniors as well as supporting them throughout their senior year. They also hold an annual college fair. Students are usually recommended to the program by faculty who recognize them as good students but with lack of college aspiration or financial issues. The Colllege Summit program has excellent results in that 79% of its students enroll in college and 80% graduate from college! Nationally, college enrollment has increased 4% between 2006-2008, but College Summit participating schools had an increase of 15% college enrollment. College Summit will partner with colleges who in turn offer seminars and workshops to college students over an extended period of time that works with them on writing a college essay, breaking down college admissions costs, applying for financial aid, overcoming college entrance exams, and even seeing what a typical college course is all about. Stern, G (2008).College summit-Helping minority students navigate the road to college. Hispanic Outlook. Between 1995 and 2005, the number of minority students enrolled in colelge increased by 50% to 5 million students. The number of white non-minority students only increased by 8%. Minority students now make up approximately 29% of all college students. 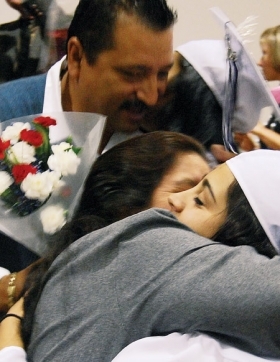 Hispanic student college enrollment increased by 66% for more than 1.7 million students. Hispanic students come from more educated families in 2006, but that Hispanics continue to be at the bottom in terms of parental education at four year institutions. In 1971, 69.6% of first-generation Hispanic college students were from non-college educated parents but in 2005 the level was down to 13.2%. In comparison, in 1971 37.3% of non-Hispanic whites were from non-college educated parents but in 2005 the level was down to 13.2%. · One in five Hispanic college freshmen are concerned about how to pay for their education. 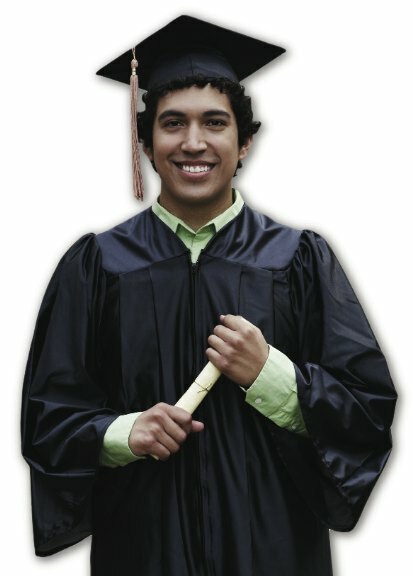 · The top reason for Hispanic students in chosing their college was financial assistance offered. · The number of Hispanic students attending college has increased, but the number of male students is steadily decreasing. · Hispanic college students are most likely to attend a school that is within a 50 mile radius of home, but the number of students going beyond the 50 mile radius is also increasing. · Of Hispanic students, 34.8% will apply to five or more colleges whereas the number of non-Hispanic students who will apply to five or more college is only 23%. Costs. The Chronicle of Higher Education, Retrieved 10/17/2008, from http://chronicle.com/daily/2008/10/5156n.htm.